Everyone knows the world is round like a ball. Well, not everyone knows, I suppose, but the real problem is that Cristóvão Colón believes it to be a much smaller ball than most men who study this sort of thing. That’s why I—and everyone I’m sailing with—won’t be coming back. I’ve brought only a few things on this voyage. My belongings fit in a small shoulder bag: a small Bible, my writing materials, a few pieces of clothing, and my rosary. When I began writing “So The Taino Call It,” I didn’t know how devout a Christian my narrator, Rodrigo de Escobedo, was going to turn out to be. It was a part of his character that developed over time. What I knew from the beginning was that he was a literate man who loved language (he speaks several). Educated by monks, he was given the Bible mentioned above by one of his teachers. He remembered my love of reading and hoped the book would turn me toward a less sinful life. I don’t know if that’s possible, but reading the Word of God makes me feel closer to Him. A Bible small enough to fit in a shoulder bag? In 1492? Seems unlikely, doesn’t it? Not as unlikely as you’d think. It surprised me to discover, as I was doing my research, that portable Bibles first became available in the 13th century. These handwritten books held the complete scriptural texts in one volume for the first time and looked similar to modern Bibles. They were small enough to fit in a saddlebag. 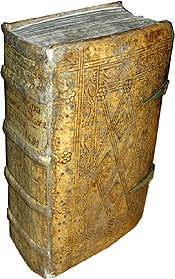 Paris Bibles, as they were sometimes called, were still a little bulky, though, for priests and friars traveling on foot, so “pocket” Bibles were quickly developed. The script in these books was minute and densely packed, and the parchment or vellum itself was as thin as tissue paper. 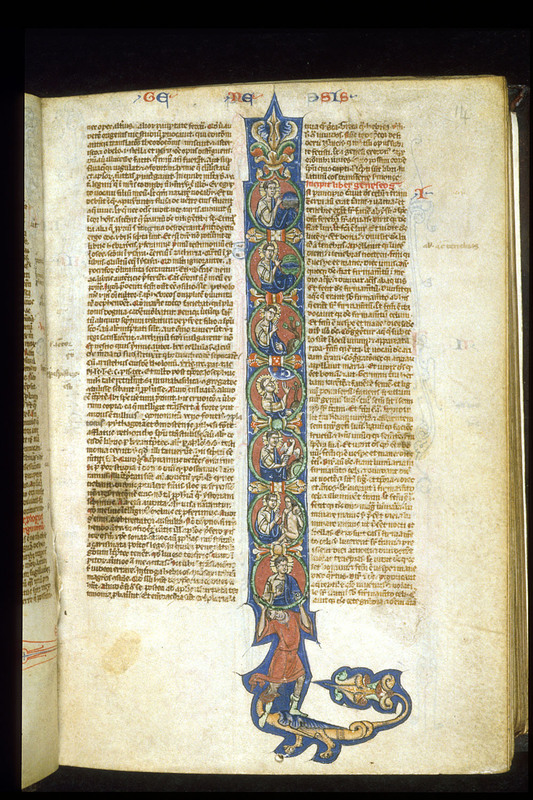 This page comes from a Bible that was 5.5 inches by 3.5. Technology continued to advance, as it will, and by the time Columbus was considering his western sailing trip, the printing press had been around for almost 60 years. 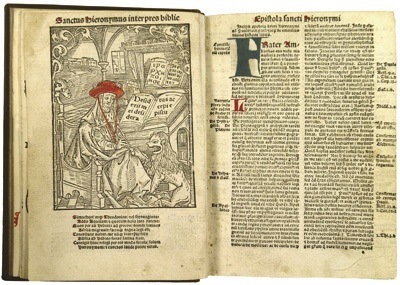 Gutenberg published the first printed Bible in two volumes in 1455; after that the race was on for more beautiful and more accurate versions. Most of these were what you’d expect, large books that were meant for a priest’s lectern. Fortunately, these weren’t the only Bibles printed. I knew it had to be Rodrigo’s Bible. It was easy for me to imagine my scrivener/spy reading the inner pages, as well. 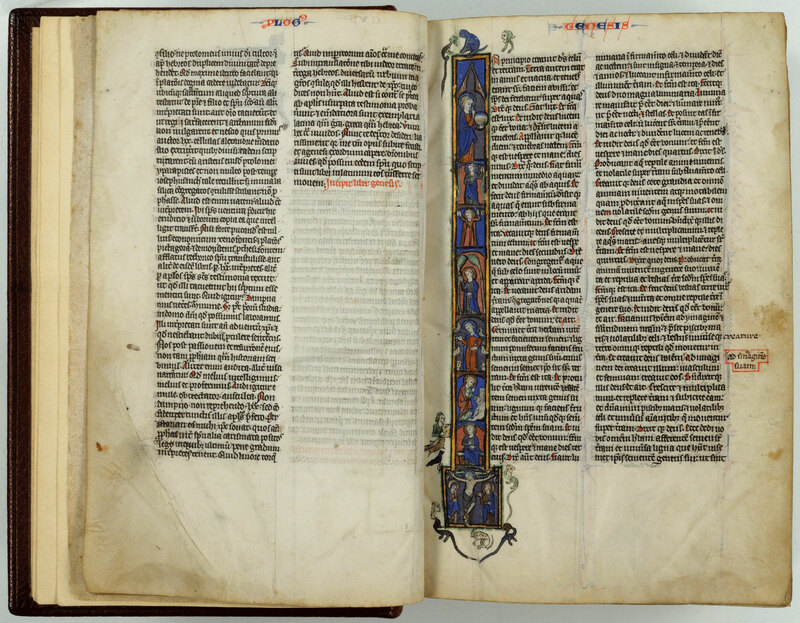 Bibles of this size, handwritten or printed, were revolutionary in ways beyond convenience. They made it easier for literate people to read the Bible themselves instead of relying on the rulers of the Church to interpret the words for them, laying the groundwork for the Reformation that would begin a mere 25 years after Columbus set sail. 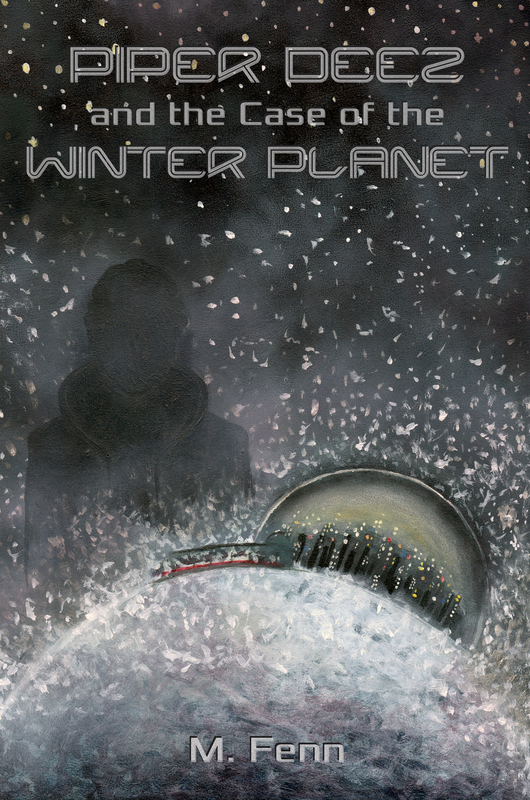 It was a heady time, whatever sort of explorer you were. Last week I was writing about my old writing collections–two binders, one from high school and younger, and one from mostly college–but I didn’t go into much detail. 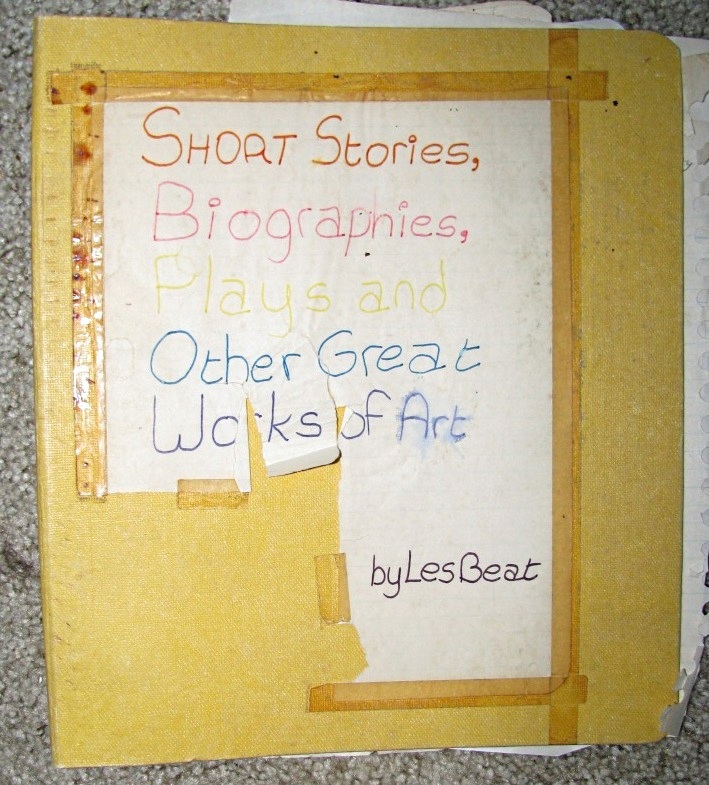 Like I did say in that post, though, the older binder has a title: Short Stories, Biographies, Plays and Other Great Works of Art by Les Beat. That title’s written in different marker-colors on a torn sheet of college-ruled paper taped to the binder cover.